Add a vintage touch to your home decor with this antique style table clock. 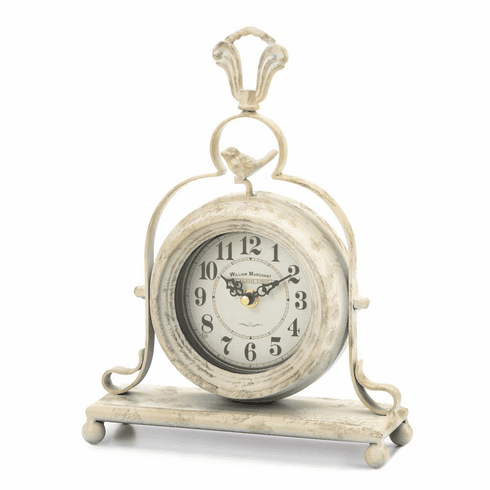 A chic addition to any space, the tabletop clock features a gorgeous iron frame in an antique white finish complete with a whimsical bird figurine on top. Perfect for French country decors, this small clock will look right at home on your mantel or bookshelf. Weight	2 pounds. 9.5" x 3.5" x 12.5". Iron, Paper, Glass. UPC Number: 849179040840.